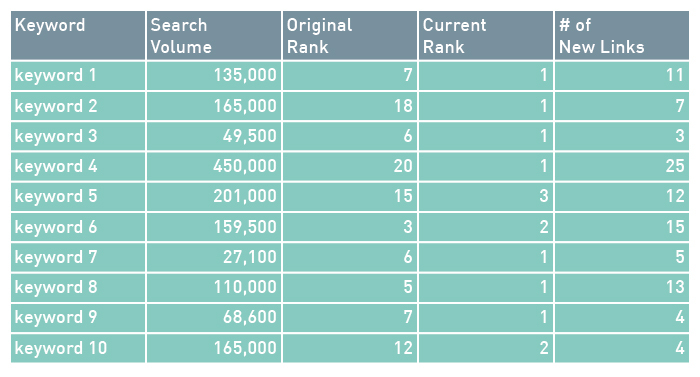 But links remain a very powerful ranking factor. 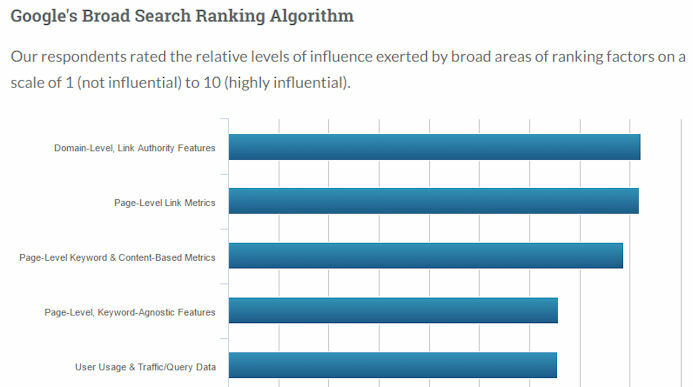 Read on for data from three different sources that backs this up, including data from our newly published extensive study on how links impact rankings. As you can see, this pegs links as the top two factors, and by a decent margin to boot. As a participant in that survey, I can tell you that I certainly ranked links as being among the very top factors as well. One reason for this is the experiences we have at Stone Temple Consulting, where over and over again, links drive rankings. We typically help clients get these links via high-end content marketing campaigns which focus on helping drive their reputation and visibility. As you can see, the results are pretty powerful! We looked at the data several different ways. In one view, we normalized the total number of links for each search result, so that the search position with the most links had a link count score of 1, and a search result with half the links would get a link score of 0.5, and so forth. We then summed the link scores across, so that we could see the total link scores for all the number 1 results, the total link scores for all the number 2 result, all the way through all 50 results. 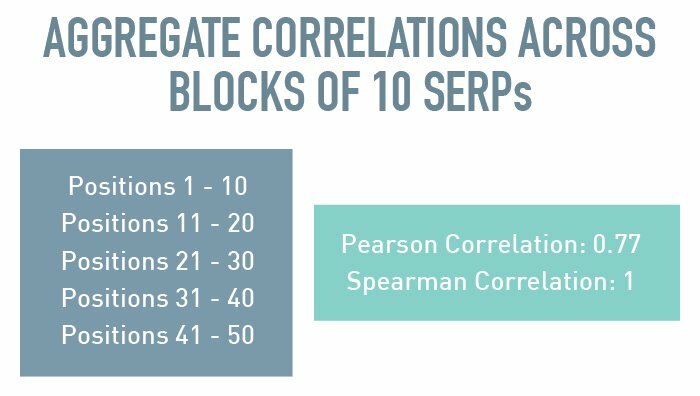 That is still a very strong Pearson correlation value, and a perfect Spearman correlation. Wow! 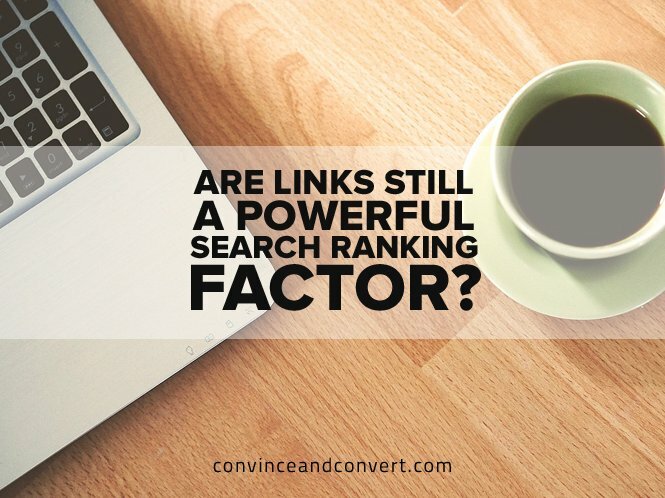 What Did We Learn About the Power of Links? So now we have it three different ways, and they all tell us the same thing: Links remain a very powerful ranking factor. But this doesn’t mean they are the only thing. Content relevance and quality are huge factors as well. 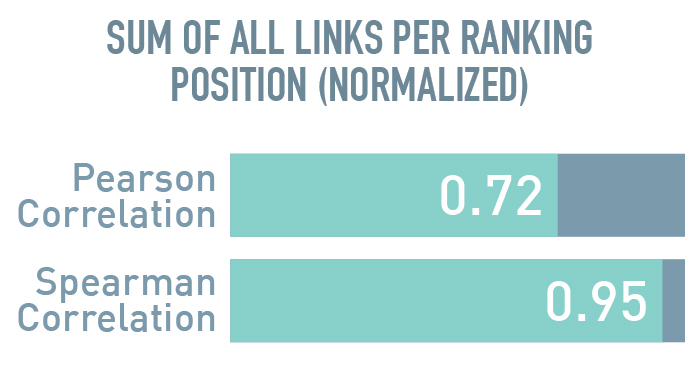 If the content isn’t relevant, it shouldn’t matter how many links it has—it shouldn’t rank. If it’s relevant but of really poor quality, it shouldn’t rank, either. There are other aspects of SEO that you can’t ignore, either, such as your overall information architecture, your site usability, how users engage with your content, and whether you need to be using SEO tags, such as rel=canonical, noindex, rel prev/next, and others. That said, links remain a very important ranking factor, so promote your business in a way that will get it lots of recognition (and links) in the process. Stay away from the link schemes, of course, and focus on attracting the most high quality links that will stand the test of time.